I just received my new Ashford Jumbo E Spinner. I thought I would do a little review of this new E Spinner. I have never used an e spinner before but I am already used to spinning artyarn on Ashford’s Original Country Spinner and the Ashford Country Spinner 2… so how hard could it be, right? 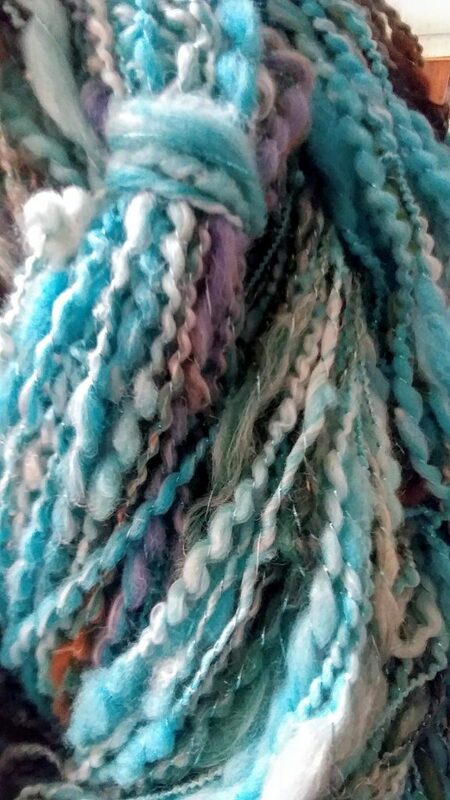 I spun this colorway on all three of the Ashford Country Spinning wheels… on my Country Spinner, my Country Spinner 2, and my new Jumbo E Spinner that is the electric Country spinner. Three wheels…..playing on them all. Believe me when I say, the new Ashford Jumbo E Spinner is really just an electric Country Spinner. I did not feel I had any real learning curve on it at all. The tension on the Jumbo E Spinner was exactly the same as the treadle Country Spinners. It is Irish or bobbin led tension with a leather strap for a brake band. 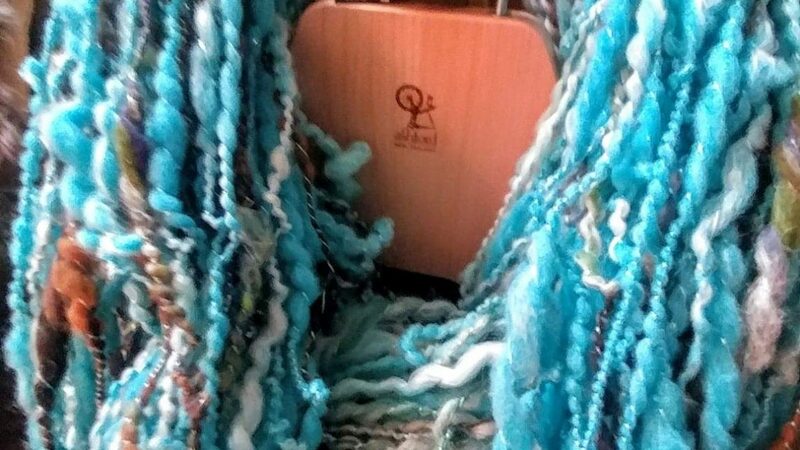 Spinning artyarn felt the same minus the treadle part with my feet. The foot pedal that comes with the wheel has two settings. One is a click to turn on and a click for off. The other you already have your foot on it when you turn it on, so when you let your foot off it stops. You essentially need to hold your foot on it like a sewing machine or gas pedal. I chose this method. That allowed me a bit of a connection with my feet while I was spinning artyarn and to me felt more like a treadle wheel than I had hoped for. I found that I spun with the brake band off entirely just as I do with my original Country Spinner until I was about 3/4 of the way full through the 3 lb. bobbin. I only used the brake lightly on the last 25% of that bobbin. When spinning artyarn singles, I usually spun between 50-75% speed. When plying, I was always at 75% or a tad faster for speed. The motor was quiet enough for me to spin on the Jumbo E Spinner and watch shows on my tablet without struggling to hear. 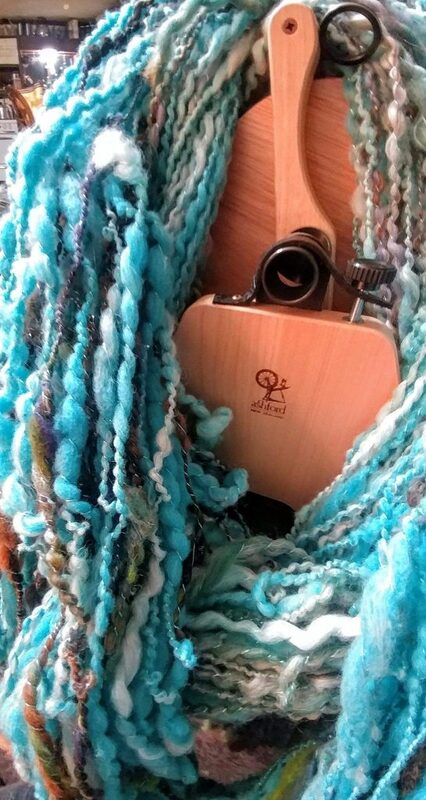 It has a lovely slow start and slow down so there was no jerking or sudden stops which can cause tangles in your yarn. It only took a few hours and my bobbin was jammed packed with another well on it’s way to being full also. 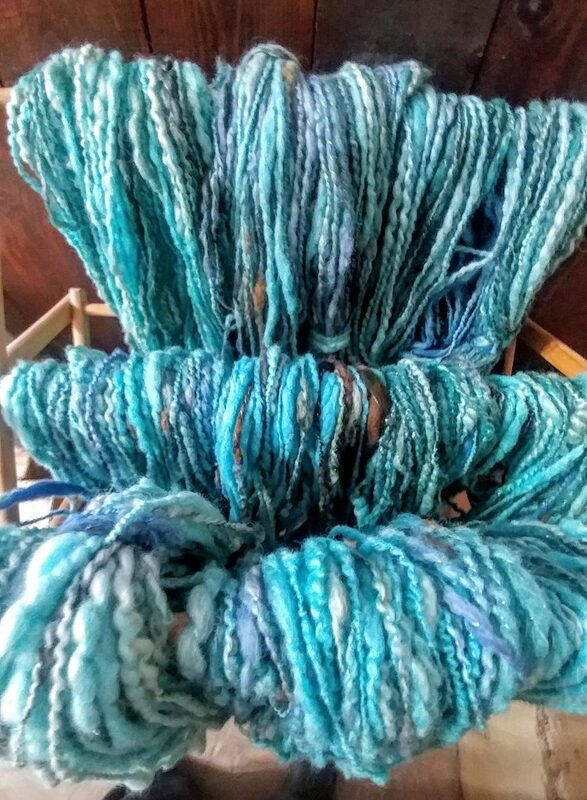 This is the second color way that I have recently been spinning to stock the store with artyarn. I have photos of the artyarn on the bobbin and newly skeined. Also more photos as they have been washed, the twist set, dried on the rack and am about to box up…. thought you might like to see them all pretty. 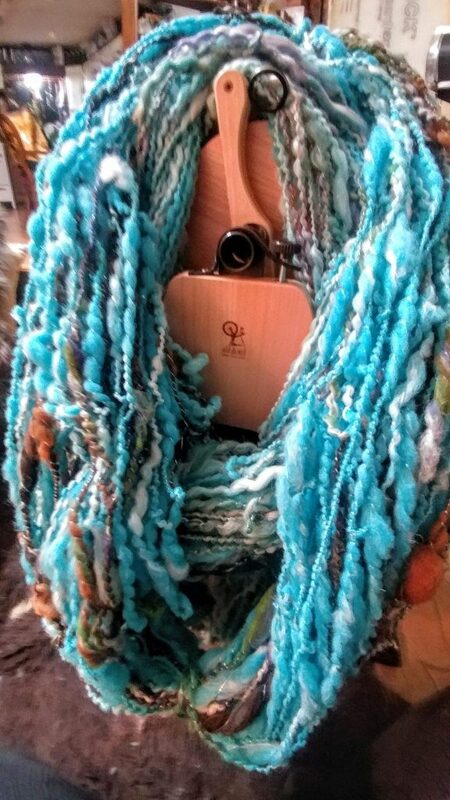 9 new skeins of art yarn…spirals, thick and thin, and baubles. Thread plyed with 2 threads held as one…a silver rayon and a turquoise metallic. 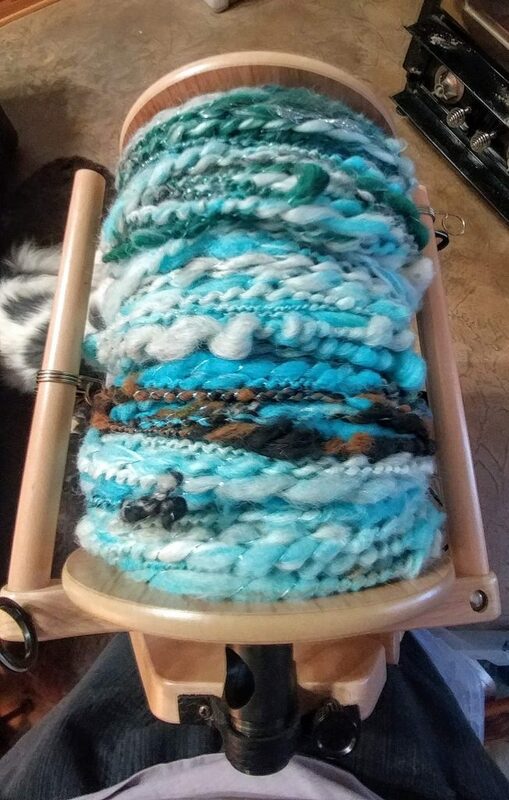 I spun all of this artyarn from hand carded Art batts I made on my Louet drum carder which contained bamboo, silk, milk, alpaca, llama, and dyed medium sheep wool. Most of the fibers are from our Colorado ranch and a friend’s CO ranch before we moved back to Michigan. I thought it time to spin them.